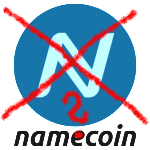 Michael Gronager aka coinslayer, a developer of libcoin, announced today a fatal flaw in the code of NameCoin while he was analyzing it during his work of implementing NameCoin to the library. Read the full annoucement at BitcoinTalk. Here I quote just some really *palmface*-ish fragments of his discovery (emphases added by me). UPDATE: A hard-fork is planned, the only option to fix the issue. UPDATE: A hardfork is planned in the near future, see details on the dot-bit forum for details. Předchozí Předchozí příspěvek: Silk Road: Konec jedné éry?